At the population level, bequests don't make much of a dent in retirement insecurity, the Center for Retirement Research found. Only a small share of households receive an inheritance. A substantial wealth transfer is underway that will benefit many of today’s working-age households, but it is unclear how inheritances will affect retirement preparedness. A new study by the Center for Retirement Research at Boston College looked at the extent to which inheritance receipts lowered the percentage of households at risk. It found that inheritances do not significantly affect the retirement security of the population as a whole. Most households that inherit money either are already on track to a well-funded retirement or won’t inherit enough to make much of a difference. The study, which was funded by Prudential Financial, used the National Retirement Risk Index, which is based on the Federal Reserve’s Survey of Consumer Finances. The index measures the retirement preparedness of American households, ages 30 to 59, by comparing retirement income as a percentage of pre-retirement income with target rates. According to the study, 52% of working households in 2013 were at risk of facing reduced consumption levels after retirement. How does inheritance affect this picture? In the study, 23.6% of high-income households, 18.5% of middle-income ones and 14.4% of low-income households had received an inheritance. That year, median inheritances of combined house and financial assets had appreciated to $87,500 from $50,000 in the year received. Households within each income category that had received an inheritance were much less likely to be at risk than those than had not. For all households, the risk fell from 54.2% (no inheritance) to 40.4% (received inheritance). Researchers asked how much higher the index would be if no households had gotten an inheritance. They found that the percentage of those at risk would have increased only slightly. Remove inheritances from the 2013 index, and the index would rise to 52.4% from the current 51.6%. Removing inheritances would have varying effects according to income level. The top third of households, which are most likely to receive inheritances, are less reliant on them in retirement, thanks to lots of other financial resources. The bottom third are less likely to receive an inheritance; those that do are likely already to be at risk, and so the inheritance would not help that much. Middle-income households, in contrast, are more reliant on inheritances for retirement security than their wealthier counterparts, and likelier than poorer ones to receive an inheritance and to rely on it for a leg-up in retirement preparedness. If inheritances are eliminated from the index, the percentage of all income groups at risk rises by four points. The biggest effect is on the middle-income group, which experiences a seven-percentage-point increase. What this comes down to is that inheritances are important to recipients, as are any financial assets, even though they barely influence retirement preparedness for the population as a whole. 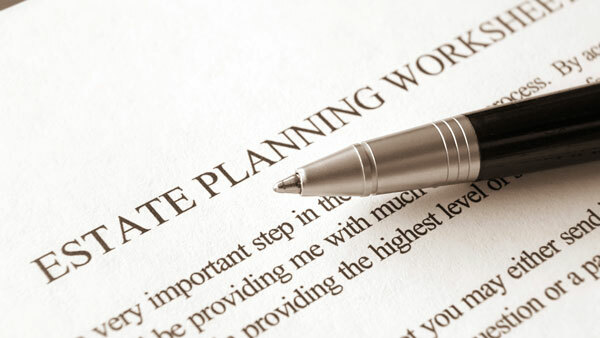 Finally, researchers explored the effect of an increase in inheritances in the future. They found that even a big jump in bequests would barely move the needle. Overall the index falls only a bit, from 51.6% in 2013 to 50.7%.